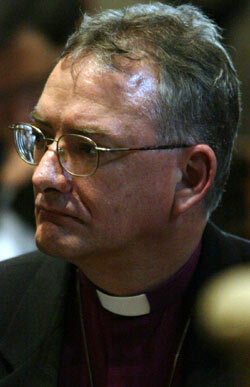 Phillip Aspinall (pictured above) is the head of the Church of England (now known as the Anglican Church) in the independent Australian branch of the Church. As such, he clearly must front the Royal Commission to defend his church and take responsibility for its shortcomings. Yesterday’s posting gave similar argument for why the Pope should appear for the Catholic Church. With the Anglican Church, the situation can become complicated when considering its overall head, the Archbishop of Canterbury, Justin Welby (pictured above). While the Australian branch is technically independent, it gains policy guidance from the British system. Indeed, for much of its history, when Australia was a colony, the local branch was not independent. When the anti-British backlash in post-was Australia occurred (such as the abolition of the British Imperial Honours System in the 1970s by the Whitlam Labor government), the Church of England became the less-obviously British Anglican Church of Australia. Even if the local branch can claim it is not responsible to the British organisation, should a similar enquiry arise in the U.K., it will be clear which organisation is responsible. Because other organisations, such as the Salvation Army and the Boy Scouts, could argue that their head office is not responsible for what happened in Australia, some consideration is necessary. For the benefit of those not familiar with the British system for the Anglican Church, it will be outlined here. This is a case where the REAL head is not quite as obvious as was the case with the Catholic Church. The U.K. does not have separation of church and state. The monarch, as head of state, is not permitted to marry a Catholic, due to historical conflicts which became rather bloody. The present incumbent, Queen Elizabeth 2, is the official head of the Anglican Church in her role as “Defender of the Faith”. This was originally a title granted to Henry the 8th by the Pope for Henry’s opposition to the Protestant movement. When the serial wife-killer wanted to have a divorce, he set up his own church, the Church of England. The Pope withdrew Henry’s title of “Defender of the Faith” for being a Protestant. Henry, however, granted himself the same title. All British monarchs ever since have retained the title. 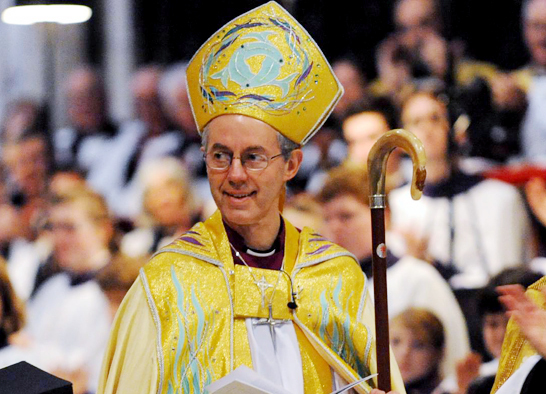 The “working” head of the Anglican Church – a sort of CEO – is the Archbishop of Canterbury. This is like the Pope being the Bishop of Rome. As a spiritual head of the Anglican Church, he is definitely responsible for the moral and ethical behaviour of all who operate under the church’s title, including the Australian organisation. A business franchise may be strictly independent of the parent company, but it is always bound by behavioural conditions imposed by the franchiser, such as a code of business ethics. In the U.K., all Anglican bishops, including the Archbishop of Canterbury, are initially selected by the Crown Nominations Commission (CNC), a church panel with 16 members whose chairman is appointed by the Prime Minister, David Cameron (pictured above with the Queen). The Commission puts two names forward to the Prime Minister. 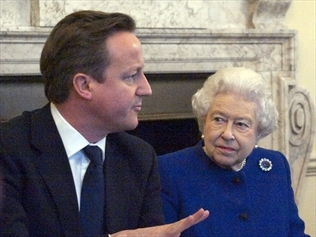 The Prime Minister then puts one name forward to the Queen. The announcement of the Archbishop’s nomination is made by the Prime Minister. Clearly, the British government could hold ultimate responsibility for the actions of the Anglican Church, at least in the U.K. if not in Australia, the U.S. or Canada. Either way, the attitudes of the Anglican Church will reflect the prevailing attitudes of the government.